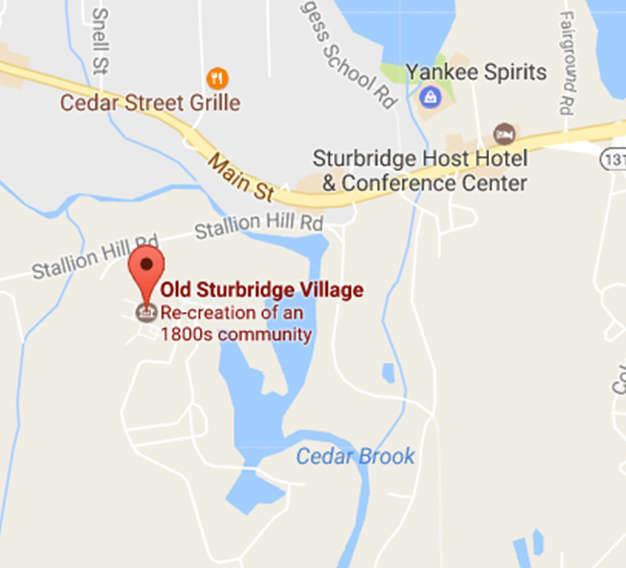 In addition to the “living history” exhibits located in the historic buildings and its heirloom gardens, Old Sturbridge Village also has static exhibitions – both permanent and changing – which feature historic artifacts from the collections. 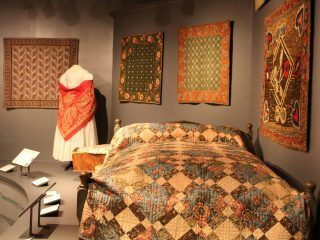 Quilts, a household necessity, have long been connected with the idea of Yankee frugality. Author Lydia Maria Child dedicated her popular advice book, The American Frugal Housewife, “to those not ashamed of economy.” Reusing material from old garments and household textiles and incorporating them into “scrap” quilts is just one of the ways frugal New England ladies creatively integrated recycled materials into household and personal textiles. Old Sturbridge Village’s newest exhibit will highlight some of the ingenious ways women reused, repurposed, and refashioned materials into quilts. 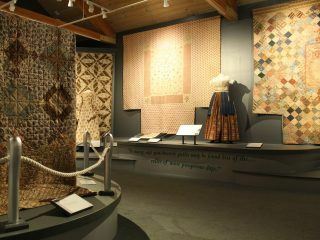 The exhibit will run from June 2018 through mid-March 2019 and includes some never before seen gems from the OSV quilt collection. 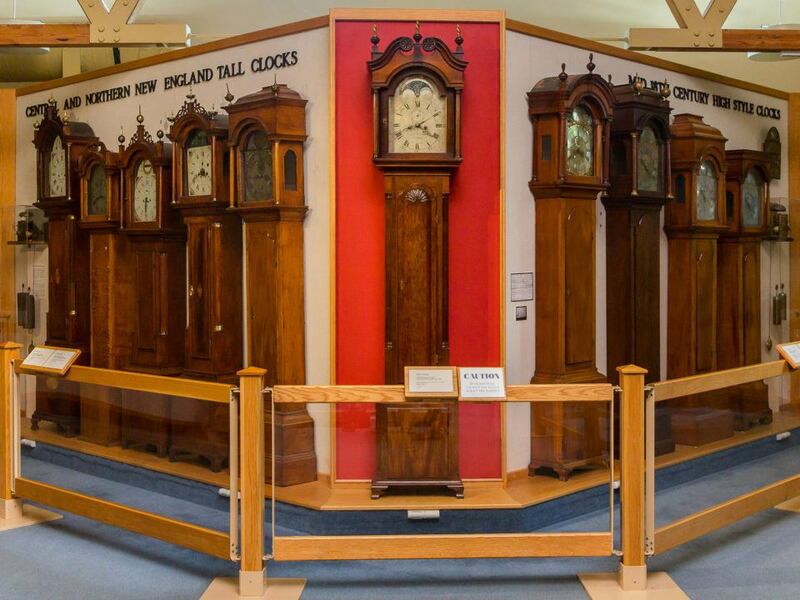 The J. Cheney Wells Clock Gallery was opened in 1982 to house the Village’s extensive collection of early New England timepieces. J. Cheney Wells, one of the founders of Old Sturbridge Village, was an avid clock collector and donated many of the objects currently on display. The exhibit contains dozens of clocks including many tall case clocks – several of which are kept running and can be heard chiming throughout the day. 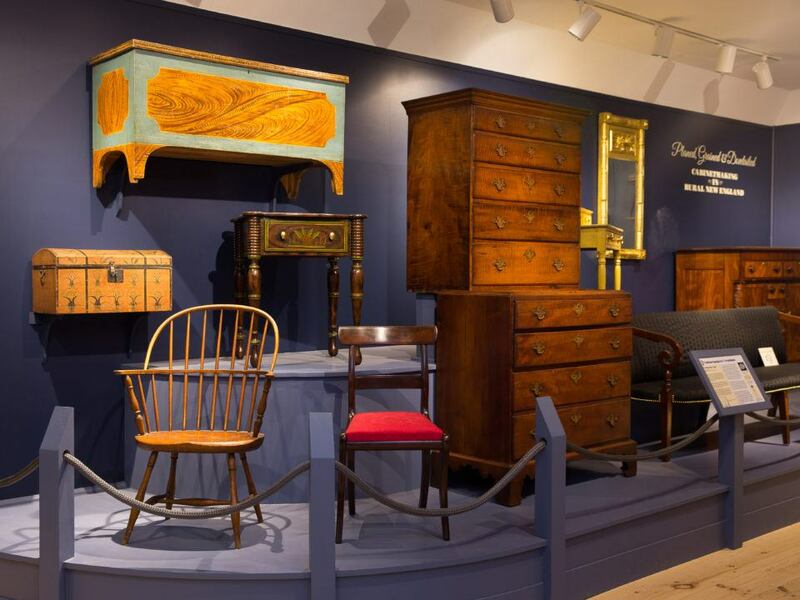 The latest exhibition, which opened June 2017, focuses on Cabinetmaking in New England. From coffins and chairs to clock cases and chests of drawers, 19th-century cabinetmakers in rural New England produced a wide variety of objects, both every-day and exceptional, using a range of techniques and tools. The exhibition highlights rarely-seen objects and primary source materials from the Village’s collections. 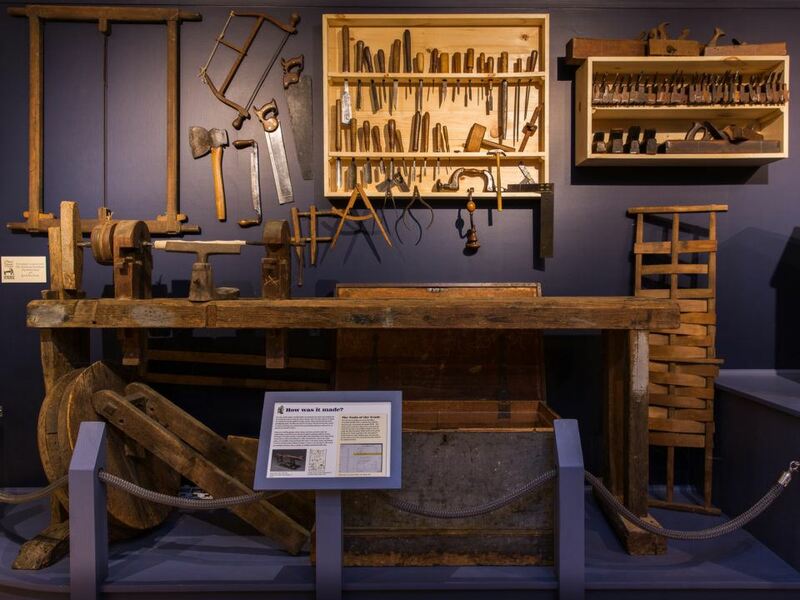 Centered on three main themes – form, process, and people – the exhibition examines the tools, products, and livelihoods of rural cabinetmakers in the early 19th century. Visitors will gain a deeper insight into how these objects were designed, fashioned, and used in the period, and how they inform our understanding of modern-day craftsmanship. The building which houses the exhibit is a copy of the Freeman Farm House and originally provided housing for the miller and his family. September 2017 marked the opening of a newly redesigned firearms and militia exhibit, after months of planning and collaboration by a cross-disciplinary team of Village historians and curators. Armed and Equipped: Firearms and the Militia in New England, 1790-1840 includes many objects in that have either never been on public display or have not been on view in many years. The citizen militia was an important part of civic life in the colonial period and in the early 19th-century New England. All able-bodied men from 18 to 45 were required to serve in their town’s militia. They had to provide their own weapons and equipment and had to attend at least one training day per year. The new exhibit will bring more detail to this story and have four distinct themes within the context of New England: citizen militia, firearms technology, firearms manufacturing, and sport shooting. The Glasshouse Gallery explores the history, manufacture, and use of glass in 19th century New England. Thematic cases illustrate the development of style over time, production methods, decoration, and scholarship. 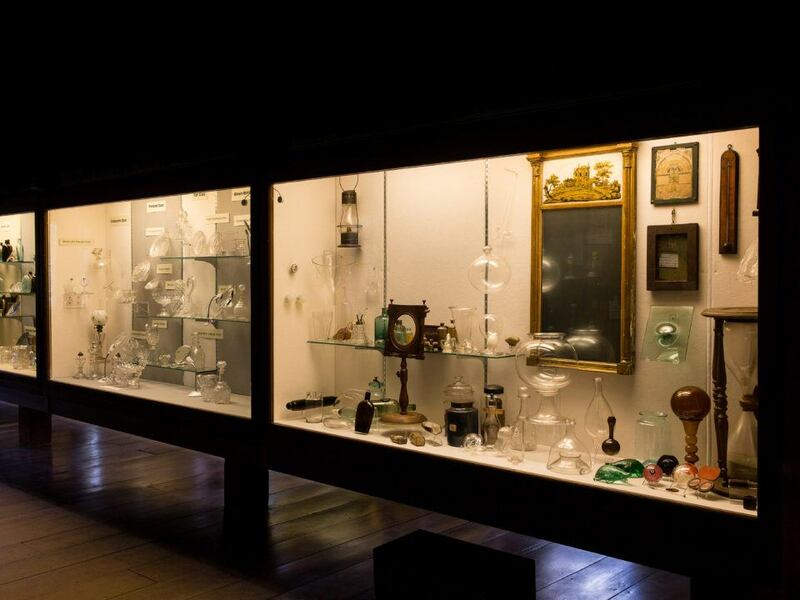 Objects on display include tableware, mirrors, spectacles, flasks, archaeological materials, as well as glassmaking tools and implements. The building, built in 1941, is a replica of the original American Optical Company spectacle shop in Southbridge, Massachusetts, where George Washington Wells, father of the founders of Old Sturbridge Village, began manufacturing eyeglasses in the late 1800s. 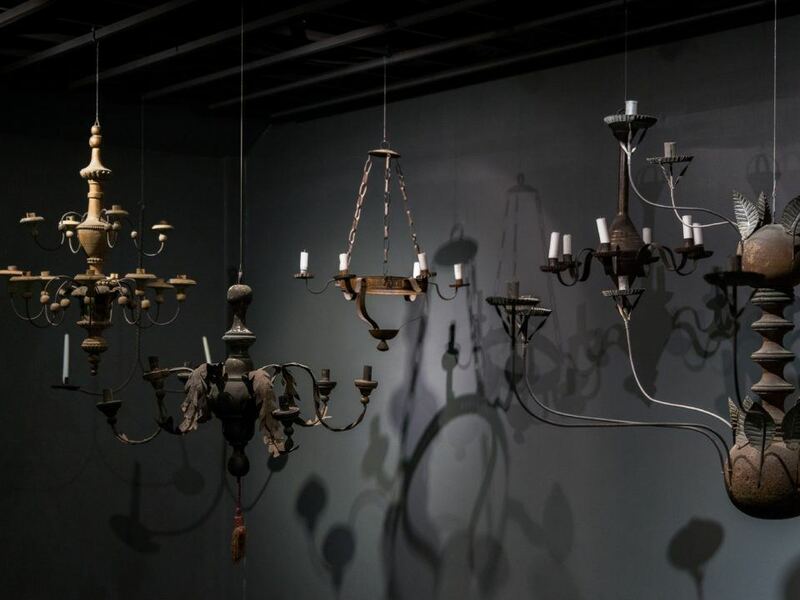 First opened in 1968 and completely redone in the mid 1990s, this exhibit highlights some of the early lighting devices in the Old Sturbridge Village collection, which were of particular fascination to OSV founder A.B. Wells. Visit the Cabinetmaking Shop (in the former Hands-on Craft Center) on Gallery Row to see the cabinetmaker at work. The shop is where furniture, architectural elements, and agricultural implements are made for the Village’s households, farms, and gardens using historic examples from the Village’s Museum Collection as prototypes. The Cabinetmaking Shop is open Wednesday – Sunday, but demonstrations occur only on select days. Check the Daily Schedule to find out when the Cabinetmaker will be working. 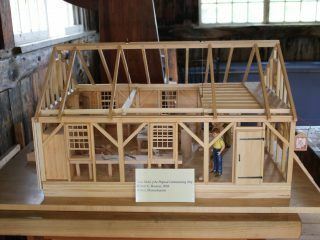 The Cabinetmaking Shop is part of a larger effort to establish an active cabinetmaking program as part of the daily historic interpretation at the Village. Long term, staff and Trustees are working to design and build a Cabinetmaking Shop on the Common, with plans to open in 2021 as part of the celebration of the Village’s 75th anniversary. If you are interested in learning more about how you can support this exciting initiative contact our Development Office at development@osv.org for more information or donate here. Old Sturbridge Village is grateful to The Americana Foundation and Robert E. Roemer for their generous support of the Cabinetmaking Shop. 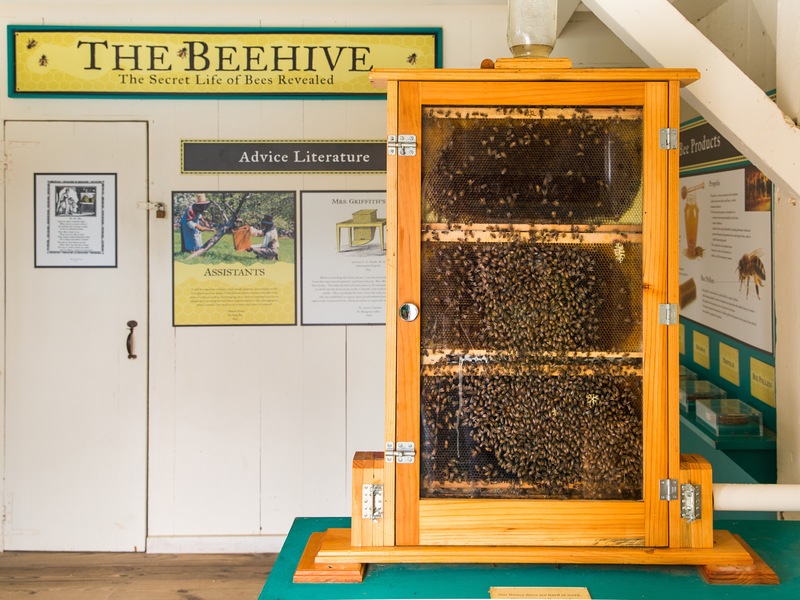 Located by the Herb Garden, before you exit the Village, this exhibit highlights the historical story of beekeeping and how it relates to modern practices and concerns of keeping bees. In the warmer months, there is an active colony of bees at work for you to watch and learn more about them. Come to the Village and try to identify the queen, workers, and drones in the living hive.